Not everyone wants Kim Kardashian West’s 15-carat rock or Mariah Carey’s 35-carat whopper. In fact, for many brides-to-be, an unconventional engagement ring is what fits the bill. Getting caught up in the four Cs — colour, cut, clarity, and carat weight — more often than not, takes away the deep personal value that a piece of jewellery holds for its wearer. Beyond the expected the-bigger-the-better formula is the unusual Tension ring. The crowning jewel in 140-year-old German label Niessing’s repertoire, its band sweeps upward and curves up to delicately lift a beautiful diamond — a nuanced float that’s been perfected down to a science through the jeweller’s centuries-old craftsmanship expertise. The precious stone is held solely by the power of tension — hence the aptly fitting name. Red Dot Design Award winner, the Round Tension ring. And the best part is, the Tension ring comes in a mélange of forms. 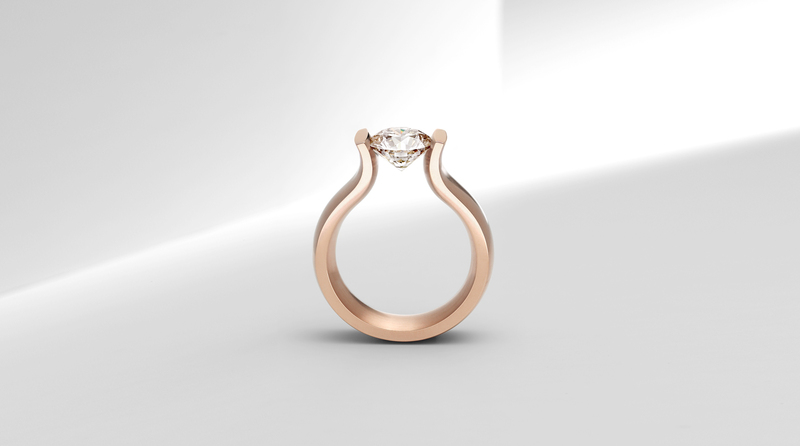 If you like yours to be understated and delicate, there’s the award-winning Round. Employing a seemingly streamlined look with a traditional solitaire as the centrepiece, don’t let it fool you: View the gem sideways, and see it magically hover — an illusion created because of how it’s gently held by the clasp of the band. For a slender and sculptural rendition? Look no further than the wave-resembling Lucia. For a sharp statement? The High End, which is crafted with sharp and bold lines. Your options are endless, really. Better yet, have the luxury of choosing from a wide palette of platinum to different hues of gold for the band, as well as diamonds of varying sizes and colours. 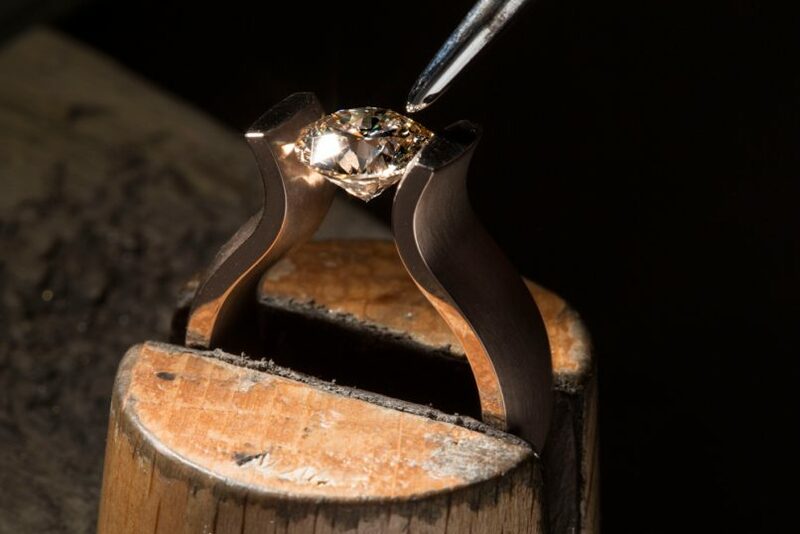 Plan the engagement ring of your dreams down to the last detail, and see it brought to life by the skilled artisans in Niessing’s German workshop. After all, as its circle is a symbol of eternity, it is meant for, well, forever. Whether your taste tends towards traditional or fashion-forward options, the Tension ring is a timeless choice that you and your significant other will fall head over heels for. Lucia Tension ring in the making. Niessing‘s first Asia flagship store is located at #01-10, Scotts Square, 6 Scotts Rd, Singapore 228209. Niessing is also available at Lee Hwa Jewellery Boutiques. 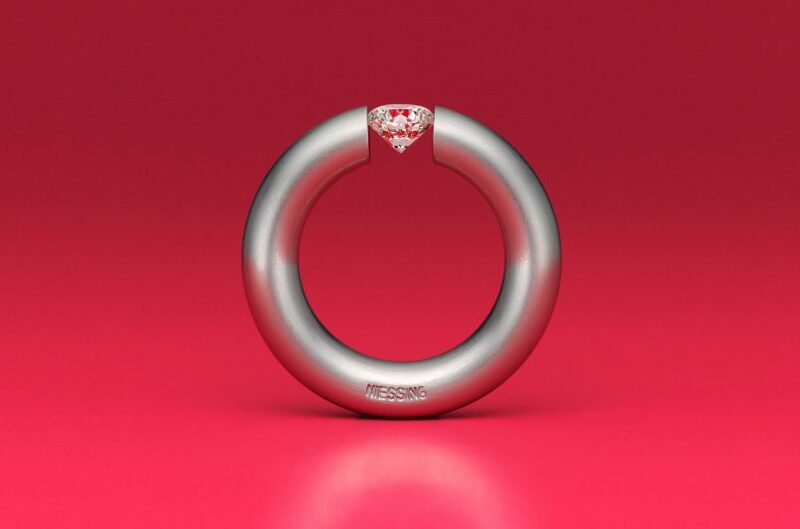 For more information on the award-winning Tension ring, click here.